Inspired BCAA is an amino acid supplement made by Inspired Nutraceuticals. It’s a vegan-friendly formula, designed to improve performance, growth and recovery. Inspired Nutraceuticals are an integrity-focused supplement brand, and aim to provide clinically effective doses of all ingredients. Branched chain amino acids – or BCAAs for short – are the amino acids which are vital to muscle growth. They’ve been shown to prevent muscle breakdown and speed up recovery (1). The BCAAs used in this formula are vegan-friendly and fermented, and may be safer for consumption than traditionally-produced BCAAs. 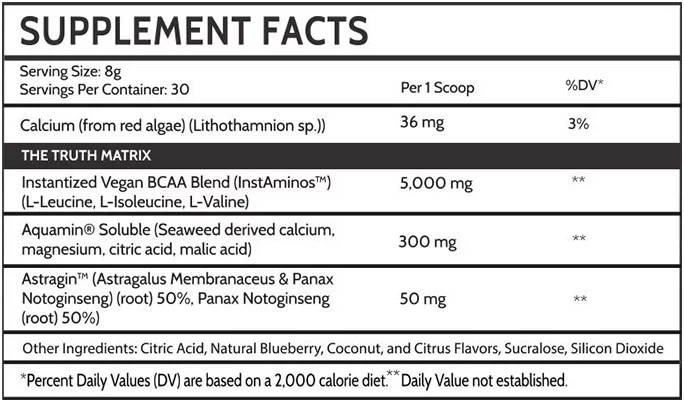 Aquamin™ is a natural source of electrolytes and other minerals, which is extracted from seaweed. Electrolytes are of special importance to athletes, since they’re often lost through sweating. They play an important role in endurance and rehydration for recovery (2). The bioactive forms of electrolytes in this extract are likely to be more effectively absorbed than those which aren’t naturally occurring. Astragalus is a herb which is popular in Chinese medicine. It’s been shown to improve the absorption of various other compounds, including amino acids and minerals (3). Athletes wanting a vegan-friendly amino acid product for improved growth and recovery may enjoy using Inspired BCAAs. Mix 1 scoop (8g) with 250mL water, and consume around the time of your workout. 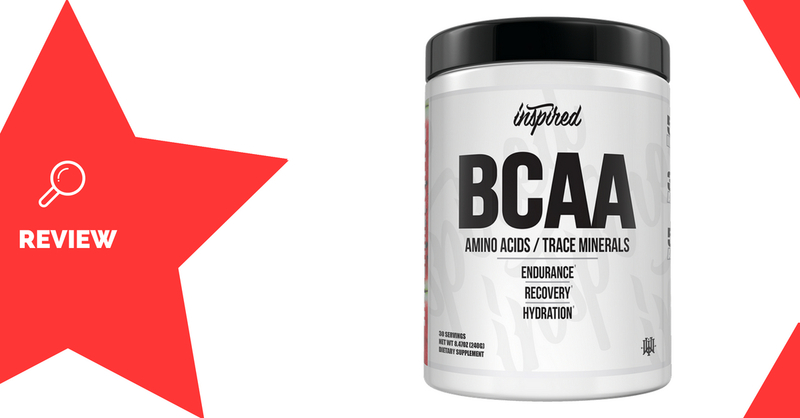 There are no significant side effects associated with the ingredients used in Inspired BCAA. Plenty of flavours to choose from! BCAAs may not be important if your protein intake is adequate. Inspired BCAA is a great vegan-friendly amino acid product, which prides itself on superior ingredient quality and effectiveness to the competition. Both its BCAA and electrolyte ingredients are highly absorbable and natural forms, which don’t come with the same complications of over-processing as standard alternatives. To even further improve effectiveness, they’ve also included an astragalus extract to maximise absorption. Inspired BCAA is available in a huge range of flavours, which you’ll never get bored of.